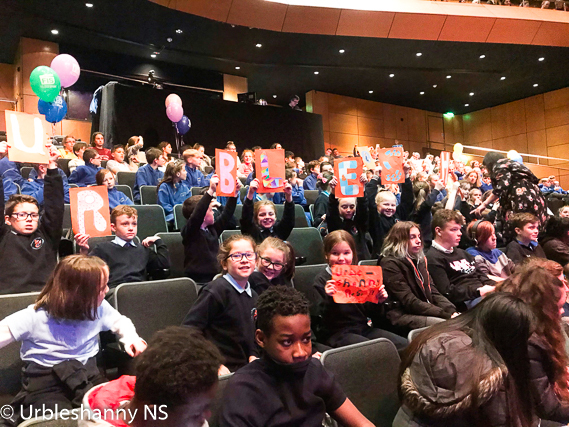 FÍS is a highly successful film project for primary schools that explores film as a medium of expression in relation to the arts, and introduces children to aspects of the film-making process. 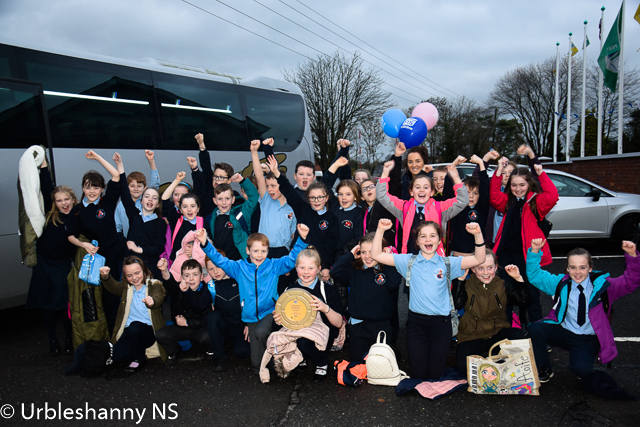 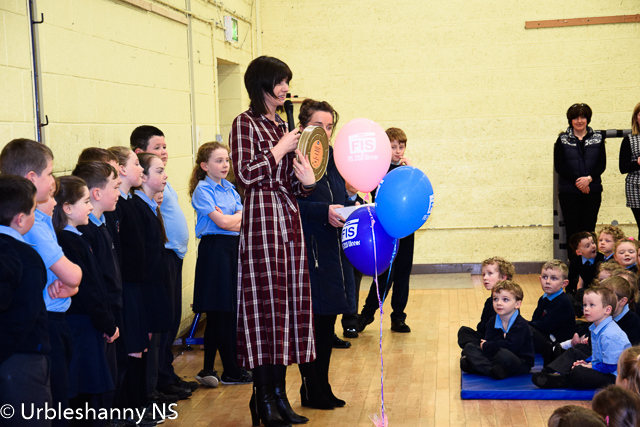 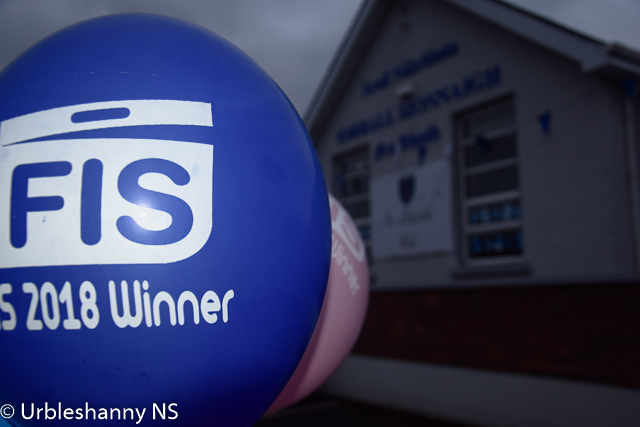 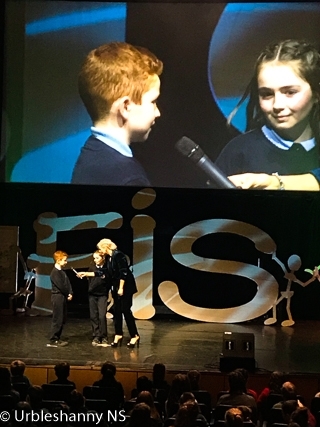 The Fís Film Project is a wonderful example of a project that encourages creativity and imagination among children and their teachers in Irish primary schools. 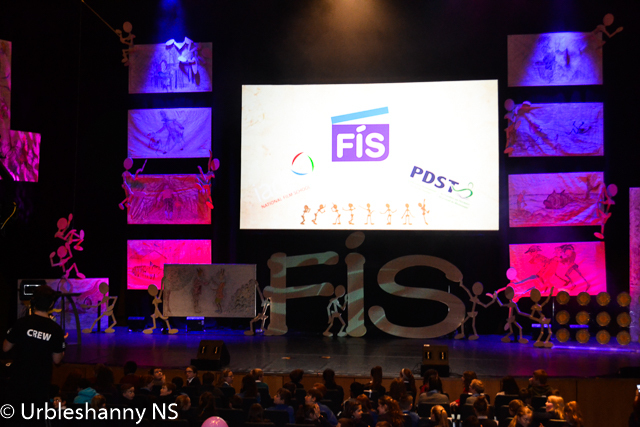 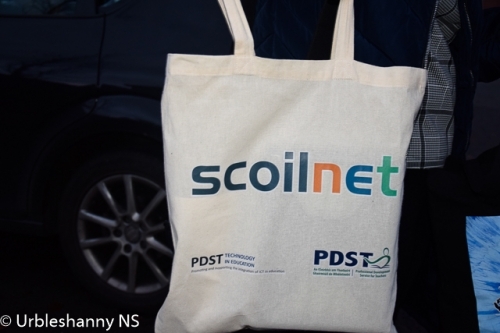 Organised jointly by PDST Technology in Education and Dun Laoghaire Institute for Art, Design & Technology (IADT), the project culminates each year in the annual FÍS Film Festival where 25 films are shortlisted for awards in what is essentially an "Oscars" ceremony for Irish schoolchildren. 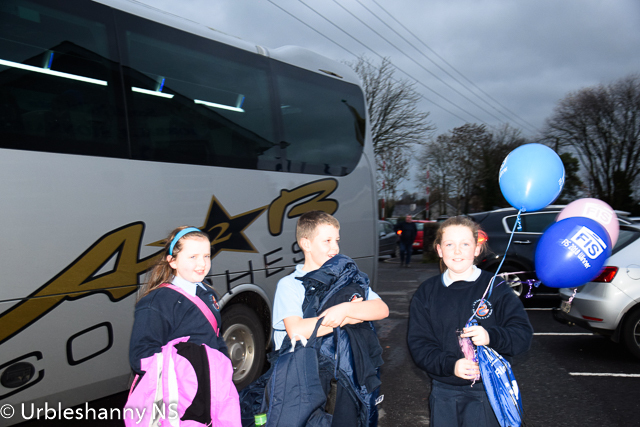 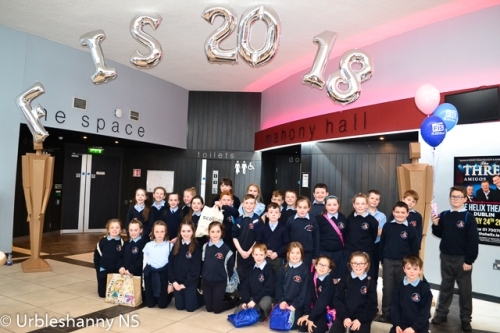 Miss Daly's 3rd Class of 2017-2018 entered the competition earlier this year and were shortlisted for the awards ceremony which took place today in the Helix, Dublin. 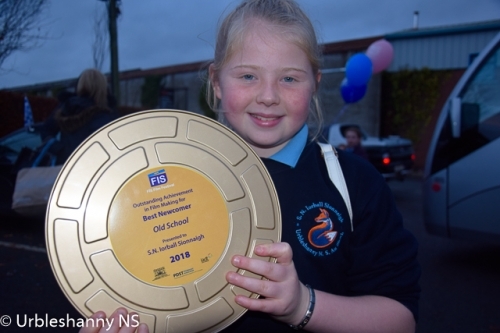 The pupils and Miss Daly were thrilled to win the Outstanding Achievement in Filmmaking for Best Newcomer. 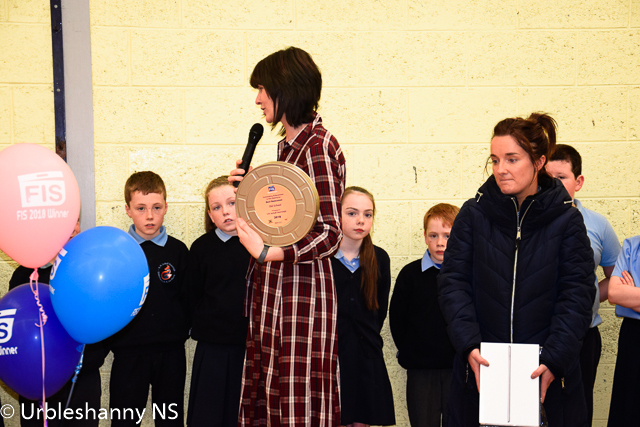 Darragh and Seanna went on stage to be interviewed by Sinead Kennedy and to receive the plaque and iPad on behalf of their class. Well done to all involved.